I have had my 64 bit OS for several months now and loving the increased speed and stability of everything that I use. 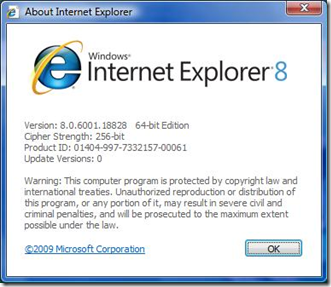 I did not realize until a few moments ago that I had been using the 32 bit version of IE. 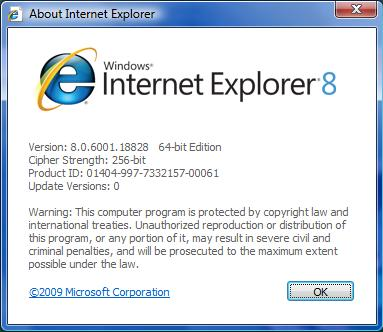 Now this really has not been a problem, but I did purchase a 64 bit OS and would like to take advantage of it. So after updating the all the accessible shortcuts in every location I find myself left with 64 bit goodness, hopefully there are no unfortunate side effects!